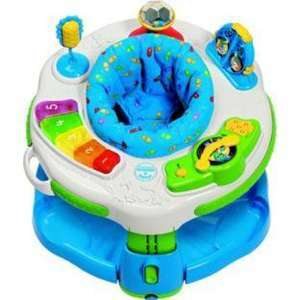 This LeapFrog interactive activity station rewards every movement with upbeat music, fun sounds, lights, and dance beats that helps your baby learn and groove! Also out of stock for me in the nearest 10 stores - so no option to reserve for pick up. Obviously when it drops in price a bit though. My kids always loved this too. I think it's worth the price. thanks, are they still offering £5 for 50 spent? I paid a lot more for mine. Our second son is now using it -- without a doubt the best item we ever purchased. Well worth the money, even for the original price I paid. Heat at this price. Good find. Both my kids loved this toy. I can't remember how much I paid, like 7 years ago but it was certainly worth every bit. I would recommend it to anyone. Plus it stores flat as well.